Most people will eventually lose one or more teeth. 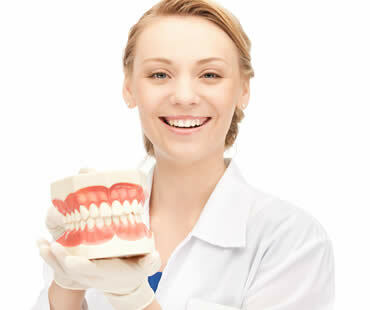 Even with vigilant oral care, accident or injury can cause the loss of a tooth. 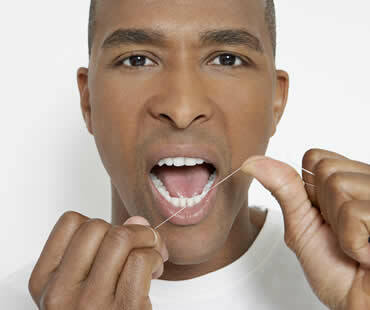 As we age, simple daily wear can cause damage to your teeth resulting in tooth loss. More commonly, periodontal disease or tooth decay will cause you to lose one or more teeth. While you may think one missing tooth, especially one that does not actually show, is not a problem, most dentists recommend immediately replacing a missing tooth. Missing teeth are not only unappealing aesthetically, but also cause problems with your bite and speech. More critically, missing teeth can cause a chain reaction that results in more missing teeth. Because teeth shift to fill the space created by the missing tooth, those teeth become loose and may eventually fall out. Another problem caused by missing teeth is jaw bone loss. The pressure of tooth roots into the bone cells keeps them from dissolving. If the root is missing, the bone cells die and the bone disintegrates. The loss of jaw bone results in facial collapse, giving you a caved in and much older appearance. Bone loss also causes remaining teeth to become loose and fall out. 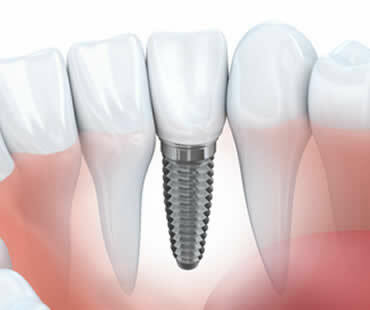 One of the best options for replacing lost teeth are dental implants. The placement of dental implants and tooth restorations can prevent the bone loss that results from missing teeth. Not only do dental implants restore the look of your natural teeth, they also provide the function and feel of your original teeth. Dental implants allow you to return to eating and speaking normally, and return your smile to its natural glory. To find out if dental implants are a viable solution to your missing teeth, contact your dentist for an examination and evaluation. With dental implants you can restore the look, feel and function of your natural smile.